Warren Buffett trended on Twitter, stoked the presidential campaigners and took over much of the conversation on social media last week, by doing one old-school thing extremely well. His New York Times op-ed article, "Stop Coddling the Super-Rich," took over the conversation by proposing something at once simple and confounding: He asked the government to tax him and the people he referred to as "my mega-rich friends." He meets the first-and-last paragraph test for op-eds: If your op-ed's first and last paragraphs, taken together, allow me to understand your argument completely, you've got a great op-ed. 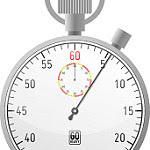 The paragraphs in between are for adding data and examples to cement your case, but you need to make your point or share your opinion clearly at the start and close. Here are Buffett's opener and closer: [Graf one:] OUR leaders have asked for “shared sacrifice.” But when they did the asking, they spared me. I checked with my mega-rich friends to learn what pain they were expecting. They, too, were left untouched. [Graf end:] My friends and I have been coddled long enough by a billionaire-friendly Congress. It’s time for our government to get serious about shared sacrifice. He keeps it simple: There's not a word in this article that could not be read and understood by most Americans, except maybe "stock index futures." Buffett makes his case in the clearest of language. That's his style, but it's also much more than a breath of fresh air. The clear, simple terms allowed this piece to grab and hold the attention and support of many, quickly. For your op-ed, keep in mind: The more barriers you put in language between yourself and your reader, the more you may slow down your support. He surprised by speaking up: If you read anything about Buffett, you quickly learn about his plainspoken and generous ways. But in general, billionaires don't walk around asking to be taxed. Actually, no one does. Here in Washington, the saying goes "Don't tax you, don't tax me. Tax that fella behind the tree." It's one thing to have a surprising belief, another to share it in public. Here, Buffett knew he could take the greatest advantages we all have, whether our wallets are full or empty: 1) No one can speak for you but you, and 2) Because of that, when you can surprise us and throw off our assumptions about you, you've got our attention. Here, it's the mere fact of his speaking up that makes the difference. Where can you or your leaders make a difference by speaking up and surprising us? 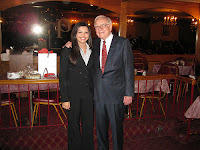 Photo of Warren Buffett with a Fisher College of Business student from Aaron Friedman's photostream on Flickr.